R and I went for a bit of a drive the other day. We do that from time to time and just meander around the countryside to get a bit of peace & quiet and to get away from the hubbub of town and traffic. You can just see the Rockies in the background. 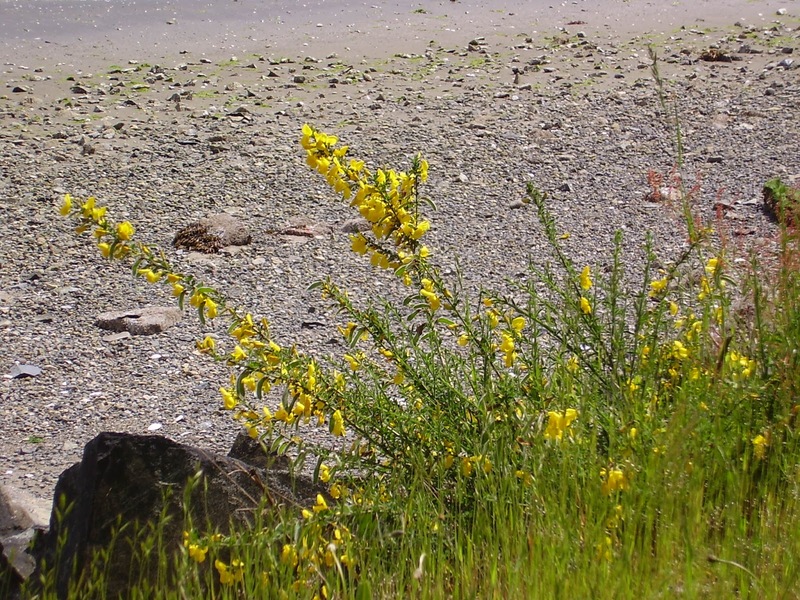 The yellow spots are Scotch broom, not indigenous to Vancouver Island. It came as a hitchhiker from Scotland. We have huge areas of yellow everywhere...it is pretty to look at but can choke out native plants pretty quickly. Spotted a little treed lane and at the end is a bench. 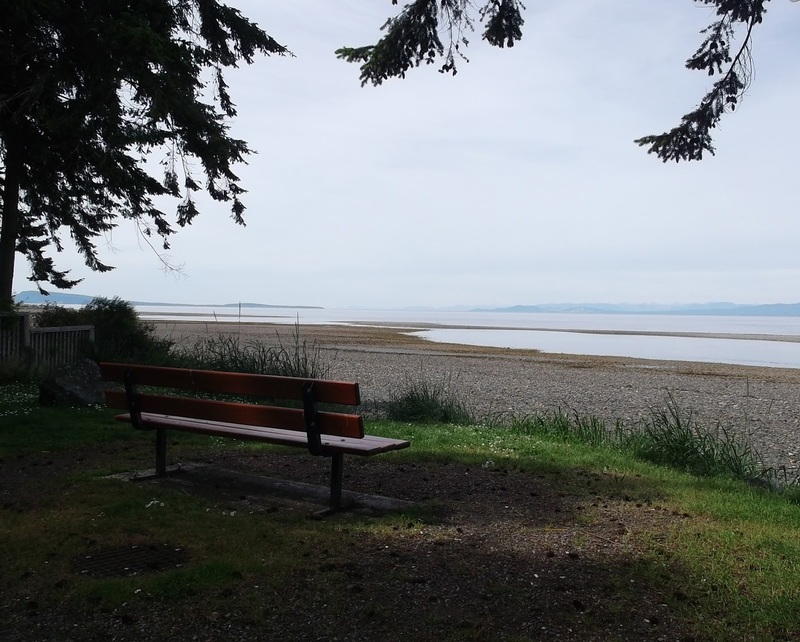 Who put the bench there I don't know but it was just the place to sit and enjoy the scenery. We munched on some potato chips... ah, the simple pleasures in life. Little flowering shrubs near the bench. R taking a walk back down the lane to check out the for sale sign. Beautiful properties down in this area. So we had a nice afternoon cruising around, stopping here and there when we found something of interest. Good relaxing day.